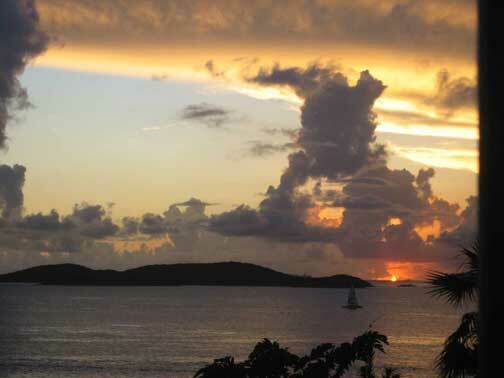 One of our best selling points of our Cruz Bay vacation condo rental is our closeness to Cruz Bay and Frank Bay Beach AND wonderful sunsets every evening! 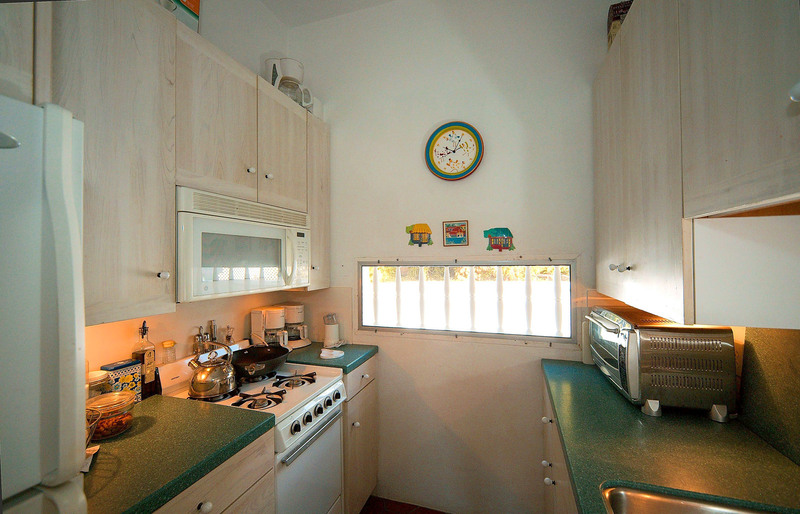 Then, it’s our charming condo! 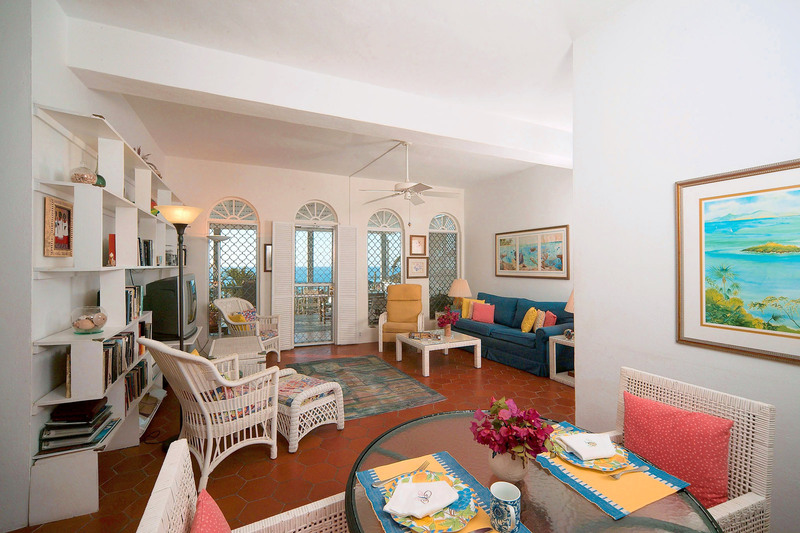 Our stylish yet comfortable condo full of Caribbean colors, with 10′ high ceilings, cool tiled floor, and ocean views are a welcoming island retreat. The spacious living room area includes a floor to ceiling bookshelf, Satellite TV, CD player, and lots of interesting books for you to enjoy when you are not gazing out at the view. Step out from the living room or the bedroom onto the 400 sq ft porch, where you will relax in comfort in the lounge chairs or hammock, or while dining around the teak table after grilling on the BBQ grill. 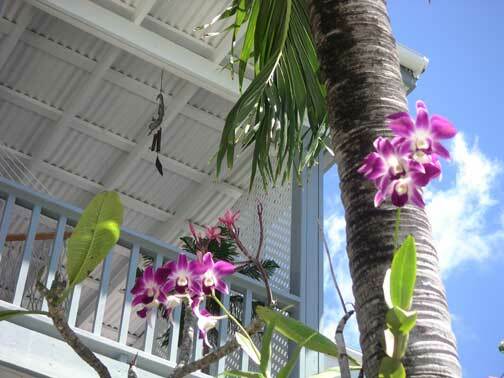 The sweeping views from the porch offer endless ocean to the south, often to St. Croix 40 miles away and other numerous islands including St.Thomas. 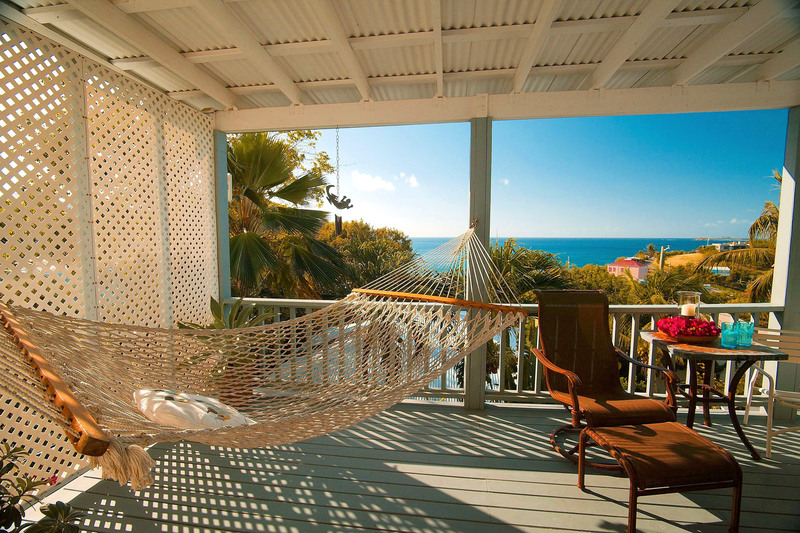 Relax in the hammock and enjoy the cool breezes and miles of blue Virgin Island sea! 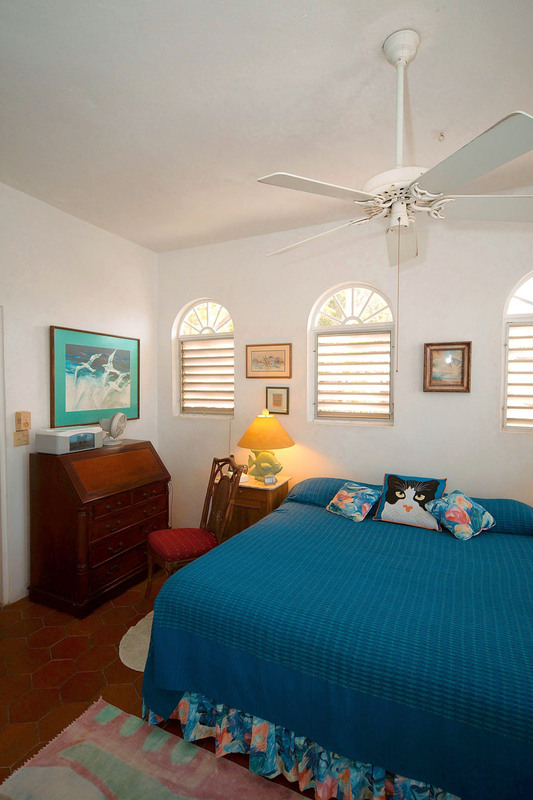 We know you will love the comfortable ambiance of our island home, and look forward to having you as our guest on St. John.